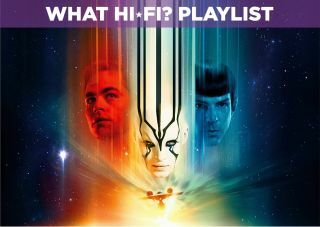 Star Trek Beyond – Blu-ray review | What Hi-Fi? For a series that was cancelled in the 1960s, the fact that Star Trek is still around 50 years later with films, TV shows and plenty of fans to show for its five decades demonstrates remarkable staying power. One reason for that longevity is the series has stayed true to the values of its creator, Gene Roddenberry. The optimistic idea of a universe where diverse species band together for a common goal still feels absolutely relevant today. Which brings us to the latest film in the series, Star Trek Beyond. As the series reaches its half-century, this is both a celebration and a return to the core values of the original TV series. It may also explain why Beyond feels like a big budget, feature-length episode. That’s not necessarily a fault, but it does explain why it feels so familiar. It's ironic, as that sense of familiarity is nagging at James T. Kirk (Chris Pine) as his crew reach the mid-point of their five-year mission. Stopping over at Starbase Yorktown (a gravity-defying snow globe in space), Kirk contemplates remaining there indefinitely, while Spock hears that Spock Prime has died (a tribute to the departed Leonard Nimoy) and considers taking up old Spock's position at New Vulcan. Their downtime is interrupted when they receive a distress call. Following the signal to an area of uncharted space, they come across Krall (Idris Elba), who destroys the Enterprise and leaves the crew separated and stranded on a remote planet. Krall's plan is to retrieve a deadly ancient artefact from the Enterprise that will help in his assault on the Federation. Together with a new ally in Jaylah (Sofia Boutella), the crew must reunite and stop him from destroying Yorktown. Where J.J. Abrams played it fast and loose with Trek lore, Beyond dutifully pays respect. It's a thoroughly entertaining film, but for its 50th anniversary you’d hope for something bigger, more epic. Beyond has plenty of style, and yet its story feels small scale. The ensemble is still the main reason to tune into these films. The camaraderie that’s been built over this trilogy means there aren’t any weak links. Even as the newcomer, Boutella's Jaylah fits in well within the existing crew. The script pairs up crew members who haven’t had much interaction in this 'Kelvin' timeline. The best pairing turns out to be Zachary Quinto's Spock and Karl Urban's McCoy, who bicker throughout like a married couple. There’s more humour and a lighter tone than Into Darkness. The script, credited to Simon Pegg and Doug Jung, gives everyone a moment to shine. Beyond has its share of dazzling action scenes too. Krall’s destruction of the Enterprise is the highlight as his swarm of ships rip it to shreds. Justin Lin brings a great energy and style that’s different from Abrams', exhibiting some nice visual flourishes, such as the ripples the Enterprise creates as it warps through space or the well-shot, athletic fight scenes. Elba’s villain is intially promising, but his idea that the unity and strength of the Federation masks its weaknesses is unconvincing, despite Elba's commitment to the role. Ultimately he feels like a repeat of Eric Bana's Nero from the 2009 reboot. Behind the makeup it's hard for him to steal scenes in the same way Benedict Cumberbatch's Khan did in Into Darkness. Visually it is a clean, sleek looking film that carries over the 'Apple' aesthetic established by Abrams (thankfully, the lens flare is left behind). It's a good disc for detail and sharpness too. With so many aliens part of the cast, a good TV will be able to dig out the various nooks and crannys of the intricately detailed makeup. Boutella's Jaylah – her white skin and black facial patterns – stands out beautifully. The soundtrack is a dynamic and expansive one, deftly balancing quiet and loud scenes with Michael Giacchino's brassy score thrumming in the background. Dialogue is intelligible, which is especially important for Elba’s Krall, who uses an accent that's modulated even further. Overall it’s a smooth, layered mix. Beyond is a fun, exciting and respectful entry into the Trek canon that celebrates its past but doesn't break new ground. It clips along at good pace and never threatens to outstay its welcome. Its a fine disc too with very good AV credentials, and plenty of in-jokes for diehard fans to discover. With 50 years behind it, and hopefully many more to come, "Live long and prosper” has never seemed more apt for this series.